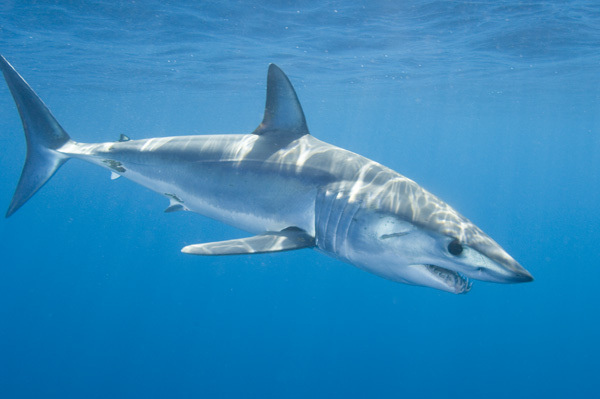 Shortfin mako sharks can shoot through the ocean at up to 50 miles per hour (80 kilometres an hour). This is possible by a trick the sharks apply: they can raise their scales to create tiny wells across the surface of their skin, reducing drag like the dimples on a golf ball. 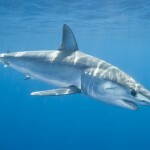 The team created artificial shark skin with a 16 x 24 array of synthetic scales, each 2 centimetres in length and angled at 90° to the surface of the “skin”. They then placed the arrangement in a stream of water travelling at a steady 20 centimetres per second. The water contained silver-coated nanospheres, which a laser illuminated to reveal the nature of the flow around the scales.